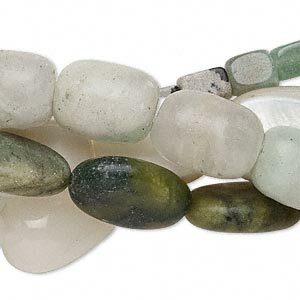 Bead mix, citrine (heated), 3x2mm-23x15mm hand-cut mixed shapes, D grade, Mohs hardness 7. 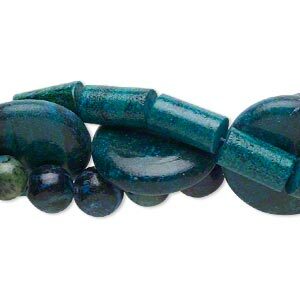 Sold per pkg of three 14-inch strands. 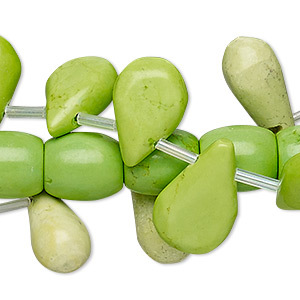 Item Number: H20-7876FL Have a question about this item? 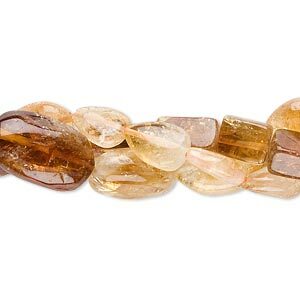 Incorporate the joy of golden-hued citrine into your life with a multiple strand bead mix that is great for stocking up on your favorite sunny gemstone. 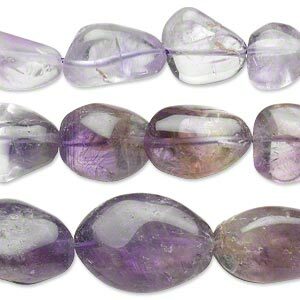 Bead shapes can include puffed oval, rondelle, rectangle, teardrop, coin and many more. 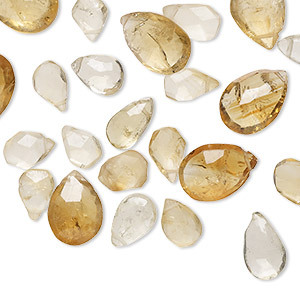 Strand variety can include brandy citrine, shaded citrine, golden citrine and classic citrine. 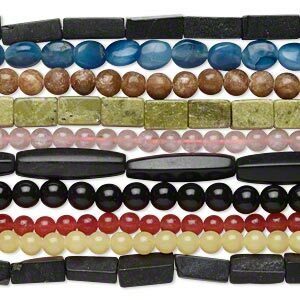 Hand-cut bead shapes, sizes and color may vary slightly from bead to bead. 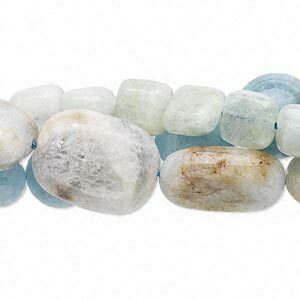 Bead mix, aquamarine (heated), blue and green, 7x5mm-20mm multi-shape, D grade, Mohs hardness 7-1/2 to 8. Sold per pkg of (3) 15" to 16" strands. 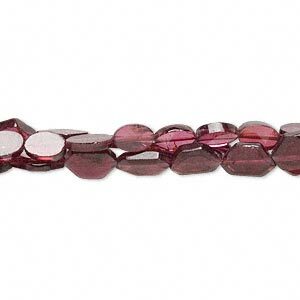 Bead mix, garnet (dyed), 3x3mm-9x6mm hand-cut mixed shapes, B- grade, Mohs hardness 7 to 7-1/2. 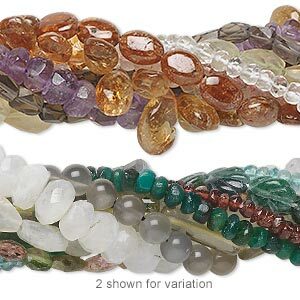 Sold per pkg of three 14-inch strands. 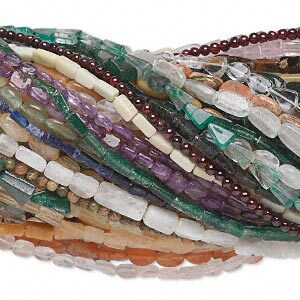 Bead mix, multi-gemstone (natural / dyed / heated), mixed colors, 2x2mm-16x5mm hand-cut mixed shape, C grade. Sold per pkg of (10) 14-inch strands.